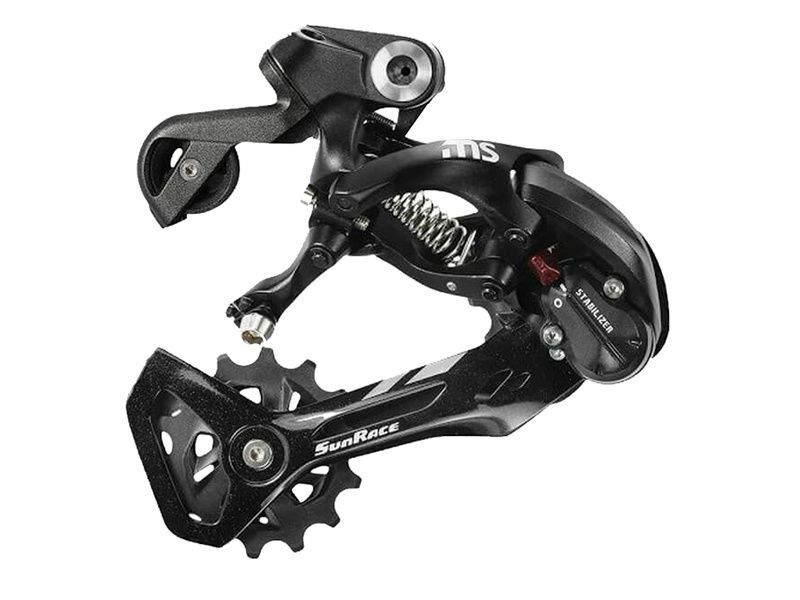 Sunrace new MS30 is a 12 speed rear derailleur that is also compatible with 10 and 11 speed systems. 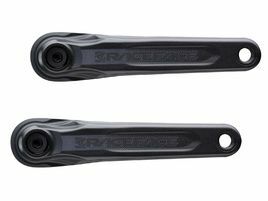 It features a medium steel cage and stabilizer function that allow to tension the return spring in order to reduce chain movments. 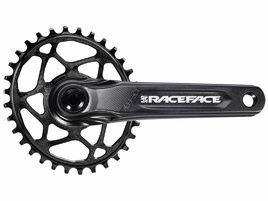 Sunrace MS30 is compatible with 1x12 systems with 10 T smaller cog and 50T bigger cog and with 2x10 and 2x11 speed with 10 T smaller cog and 42T bigger one. 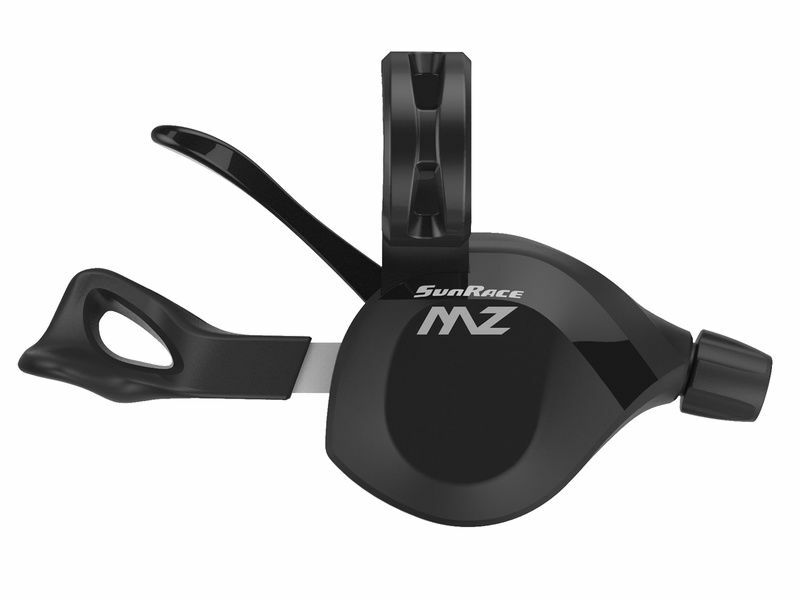 Sunrace MZ3 12 speed rear trigger shifter is designed to work with all Sunrace 12 speed rear derailleurs. 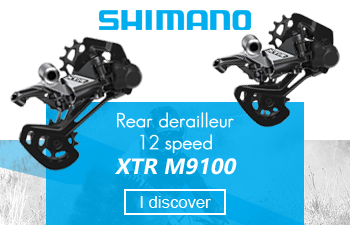 Featuring the dual release technology, this shifter can be actuated by pulling or pushing on the lever. It comes with a slick stainless cable. 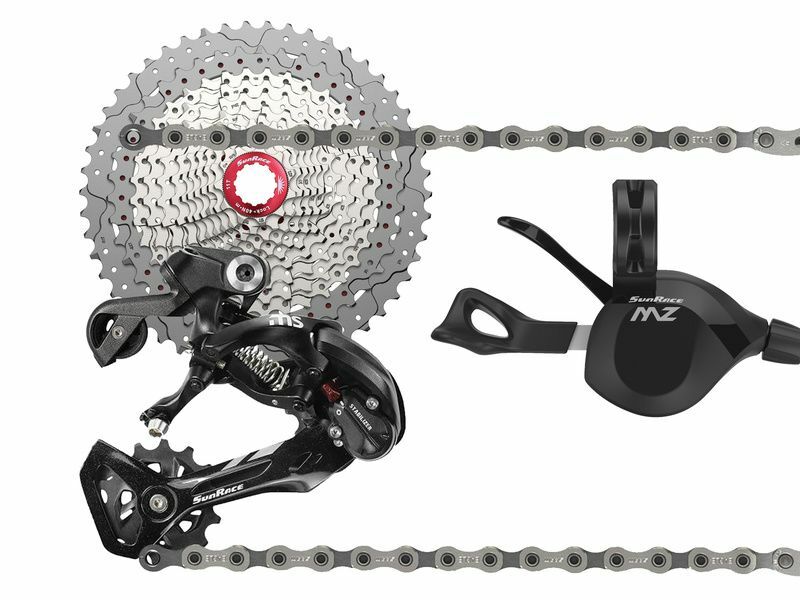 The Sram PC NX Eagle 12 speed chain is the solution for affordable acces to 12 speed drivetrains. 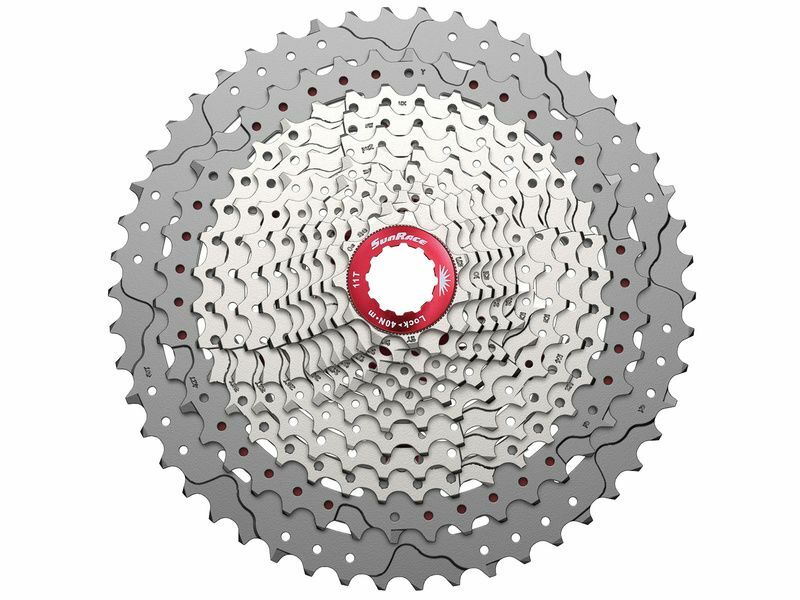 It takes same construction as X01 Eagle and XX1 with Flow Link technology for smooth and silent shiftings. The difference is on pins and chain coating. Indeed this GX Eagle uses solid pins that increase a little the weight (8 gr more heavy than X01 Eagle...) but makes it more afordable.